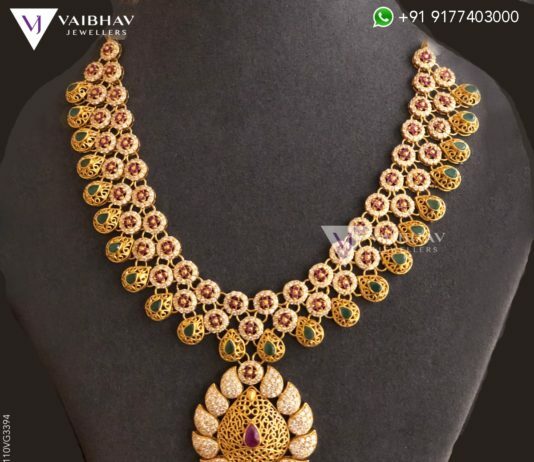 22 Carat gold necklace studded with rubies and emeralds by Malabar gold and Diamonds. 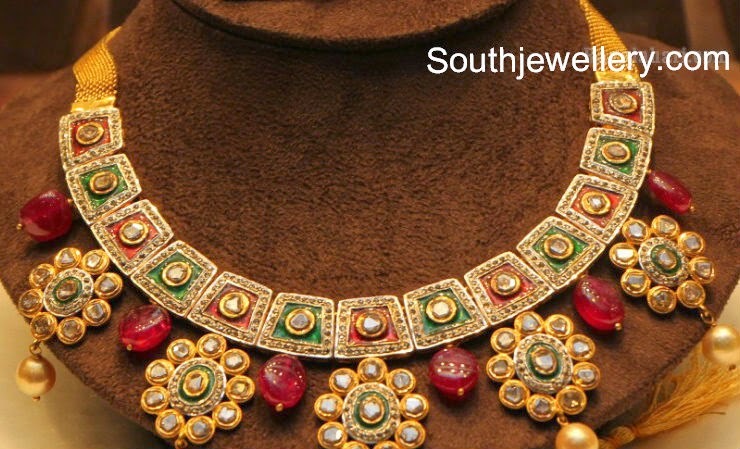 22 Carat gold antique haram with Lakshmi pendant adorned with cz stones and rubies by GRT Jewellers. 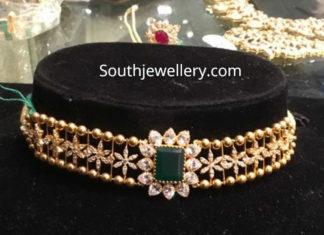 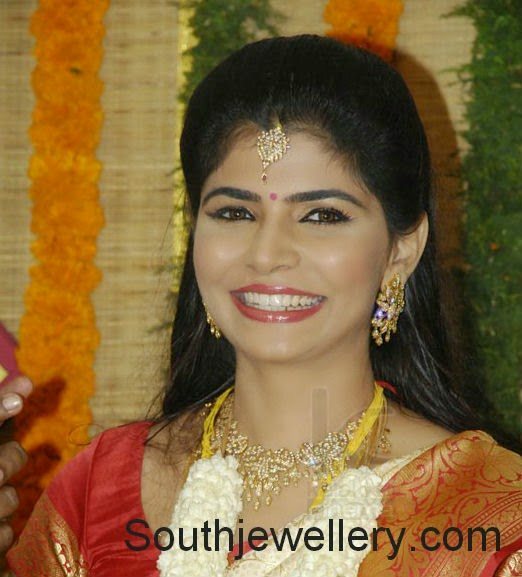 22 Carat gold simple choker studded with cz stones and emerald by Premraj Shantilal jewellers. 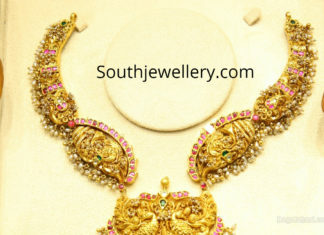 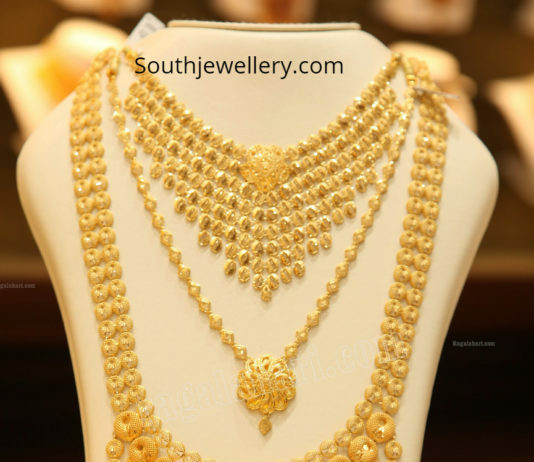 22 Carat gold antique broad gold mesh necklace with peacock pendant studded with kundans. 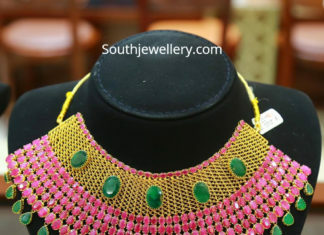 22 carat gold antique gold mesh necklace with pendant studded with diamonds, emeralds and rubies paired with matching earrings by Mangatrai Jewellers. 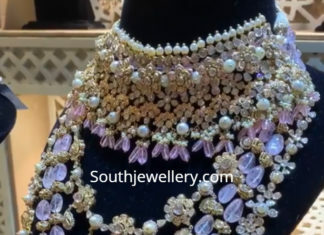 22 Carat gold contemporary necklace and haram set adorned with polki diamonds, tanzanite beads and pearls by Jatin Mor Jewellers.